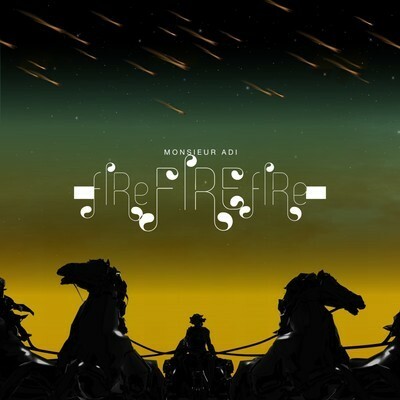 One of our fave Parisian electronic producers Monsieur Adi has just released his new EP Fire Fire Fire through his own imprint Technofavrik. He's released a few streams from it the last few weeks "Requiem", "Fire Fire Fire" and "We Are the Romans". "Fire Fire Fire" is an amazing sci-fi sounding thrill ride and "We Are The Romans" is a solid dance floor jam, but my favorite of the bunch has to be "Requiem". A real pretty mid-tempo daft punk inspired vocoder beaut that only becomes more special when you find out it was an ode to his mother who passed away. With lyrics like 'I loved you more than you'll know, you made me feel so complete. I miss you more than you'll know, you made my life so sweet' you can't help, but love it even more. Check out the tracks below and if you like what you hear be sure to pick that baby up.